The Red Sox overcame an early 8-3 deficit and ultimately slugged their way to a 19-12 win over the Orioles Friday night in Camden Yards. Boston starter Nathan Eovaldi was staked to a 3-0 first-inning lead but struggled to get anyone out. Baltimore scored four runs in the second and third innings (only four of them earned) and Eovaldi was eventually lifted for a reliever aftrer just 2.2 innings. The bookends to the Red Sox lineup - Mookie Betts in the lead off position and Jackie Bradley Jr. in the ninth spot - each had three hits to pace the Red Sox. Betts had a pair of doubles while Bradley doubled and tripled. 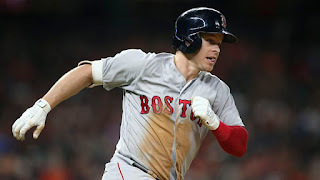 Brock Holt (pictured) likewise had three hits, including a home run leading off the sixth. Boston did most of the damage in a six-run sixth inning and a five-run eighth to make a winner out of Drew Pomeranz who threw a scoreless inning of relief in his first appearance since being moved to the bullpen. Xander Bogaerts and Andrew Benintendi homered in the win and J.D. Martinez became the first player in MLB to drive in 100 runs this season. The Red Sox and Orioles play a split doubleheader on Saturday, weather permitting. There's rain in the forecast beginning in the early afternoon. 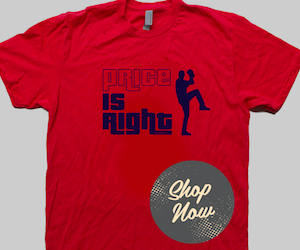 David Price will start the first game. 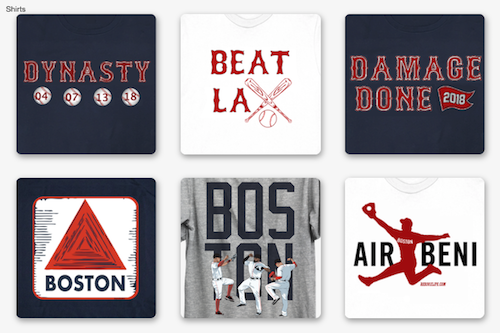 As of Friday night, Boston still had not named a starter for the night game.